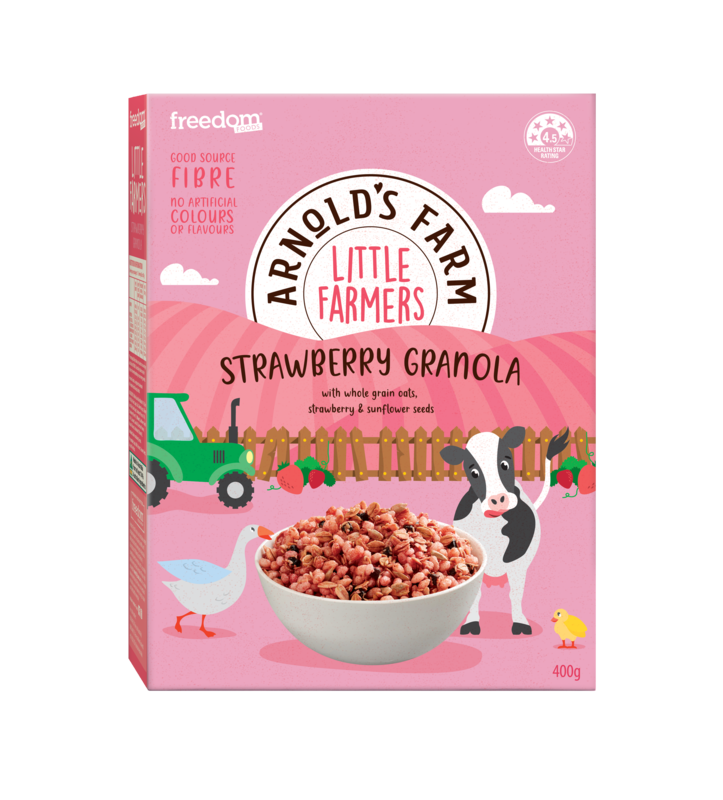 With a good source of fibre and no artificial colours or flavours, Little Farmers Granola is a tasty way to start your day. 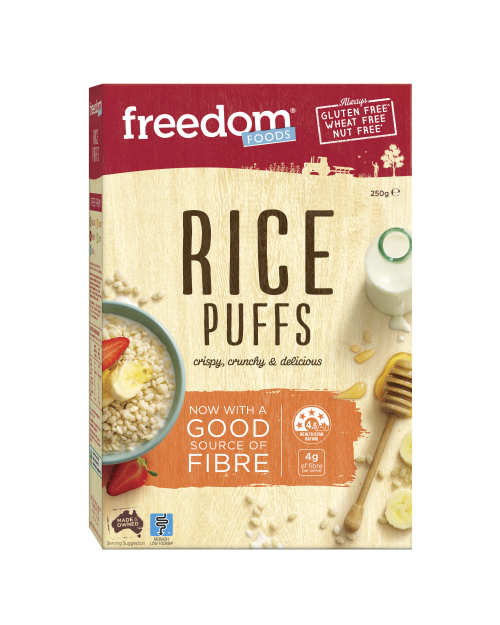 Whole Grain Rolled Oats (42%), Rice Puffs (Rice Flour, Sugar, Salt, Golden Syrup), Chicory Root Fibre, Raw Sugar, Sunflower Seeds (4.3%), Coconut, Strawberry Pieces (3.5%) (Strawberry Puree (1%), Wheat), Canola Oil, Beetroot Powder, Natural Flavour, Antioxidant (Vitamin E). 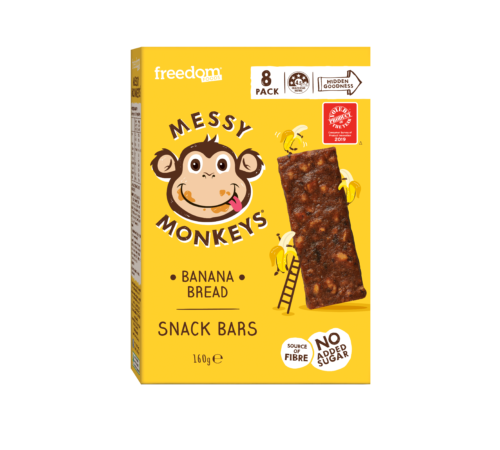 Messy Monkeys Snack Bars are made with real fruit , and have no artificial flavours, colours or sugars – no nasties! 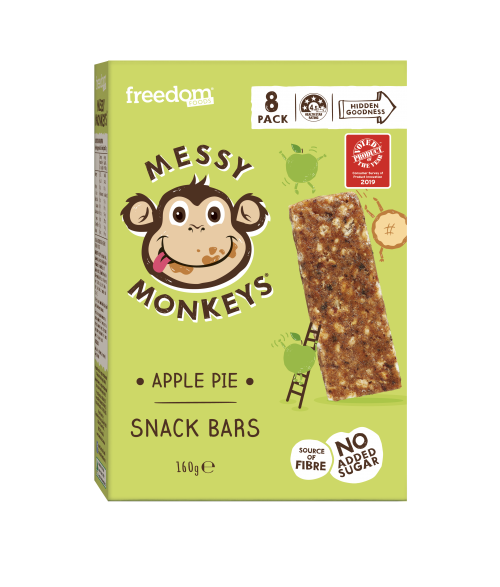 Messy Monkeys Bars are low in saturated fat, and for kids aged 4-8 they are 20% of their daily fibre needs*! They are the perfect snack for your active monkey to have more fun.